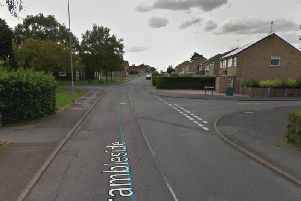 Police are appealing for witnesses after three burglaries in a Rothwell street. Burglars entered one house in Nunnery Avenue through an unlocked back door and stole a handbag and wallet from the living room. On the same night a quad bike was stolen from the shed of the house next door and further along the same road a pushbike was taken from outside a house. At another address offenders attempted to break into an outbuilding but were unsuccessful. Officers are urging anybody who saw any suspicious activity in the area overnight between Wednesday, March 9, and Thursday, March 10, to contact them.